Skytioti, Maria; Søvik, Signe & Elstad, Maja (2018). Dynamic cerebral autoregulation is preserved during isometric handgrip and head-down tilt in healthy volunteers. Physiological Reports. ISSN 2051-817X. 6(6) Fulltekst i vitenarkiv. Skytioti, Maria; Søvik, Signe & Elstad, Maja (2017). Respiration-related cerebral blood flow variability increases during control-mode non-invasive ventilation in normovolemia and hypovolemia. European Journal of Applied Physiology. ISSN 1439-6319. 117(11), s 2237- 2249 . doi: 10.1007/s00421-017-3711-0 Fulltekst i vitenarkiv. Quintana, Daniel; Elstad, Maja; Kaufmann, Tobias; Brandt, Christine Lycke; Haatveit, Beathe Christin; Haram, Marit; Nerhus, Mari; Westlye, Lars Tjelta & Andreassen, Ole Andreas (2016). Resting-state heart rate variability is related to respiratory frequency in individuals with severe mental illness but not healthy controls. Scientific Reports. ISSN 2045-2322. 6:37212, s 1- 8 . doi: 10.1038/srep37212 Fulltekst i vitenarkiv. Are arterial blood pressure fluctuations buffered or reinforced by respiratory sinus arrhythmia (RSA)? There is still considerable debate about this simple question. Different results have been obtained, triggering a discussion as to whether or not the baroreflexes are responsible for RSA. We suspected that the measurements of different aspects of arterial pressure (mean arterial pressure (MAP) and systolic pressure (SP)) can explain the conflicting results. Simultaneous recordings of beat-to-beat MAP, SP, left cardiac stroke volume (SV, pulsed ultrasound Doppler), heart rate (HR) and respiration (RE) were obtained in ten healthy young adults during spontaneous respiration. In order to eliminate HR variations at respiratory frequency we used propranolol and atropine administration in the supine and tilted positions. Respiration-synchronous variation in the recorded variables was quantified by spectral analysis of the recordings of each of these variables, and the phase relations between them were determined by cross-spectral analysis. MAP fluctuations increased after removing heart rate variations in both supine and tilted position, whereas SP fluctuations decreased in the supine position and increased in the head-up tilted position. RSA buffers respiration-synchronous fluctuations in MAP in both positions. However, fluctuations in SP were reinforced by RSA in the supine and buffered in the tilted position. Elstad, Maja; Holme, Nathalie Linn Anikken & Skytioti, Maria (2018). The role of the arterial baroreflex in respiratory sinus arrhythmia in healthy humans..
Elstad, Maja; Skytioti, Maria; Holme, Nathalie Linn Anikken & Reitan, Harald (2018, 12. juni). Pustepumpen. [Radio]. NRK P2 Ekko. Holme, Nathalie Linn Anikken; Lehre, Martin Andreas; Søvik, Signe; Elstad, Maja & Skytioti, Maria (2018). Responses in cardiac stroke volume index and cardiac index do not differ between genders during moderate central hypovolemia. Skytioti, Maria; Søvik, Signe & Elstad, Maja (2018). Differential response of internal carotid artery blood flow to cardiac output changes. Elstad, Maja (2017). Cardiorespiratory interactions are responsible for both mechanical and nervous cardiovascular oscillations. Elstad, Maja (2017). Cardiorespiratory interactions in humans. Skytioti, Maria; Søvik, Signe & Elstad, Maja (2017). Den respiratoriske sirkulasjonspumpen opprettholder hjertets slagvolum ved hypovolemi hos friske individer. Skytioti, Maria; Søvik, Signe & Elstad, Maja (2017). Internal carotid artery blood flow response to isometric handgrip and head down tilt in healthy volunteers. 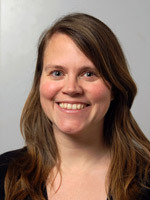 Elstad, Maja (2016). Respiratory sinus arrhythmia as buffer of systemic blood flow oscillations. Skytioti, Maria; Søvik, Signe & Elstad, Maja (2016). Respiratory sinus arrhythmia buffers variability in cerebral blood flow..
Elstad, Maja (2015). Disse svingningene kan gi oss bedre helse. Aftenposten Viten. Elstad, Maja (2015, 26. mai). Kan avsløre skjult blodtap på vei til sykehus. [Internett]. http://unikard.org/kan-avslore-skjult-blodtap-pa-vei-til-syk. Elstad, Maja (2015, 27. mars). Ujevn hjerterytme stabiliserer blodflyten. [Internett]. http://unikard.org/respiratorisk-sinusarytmi-stabiliserer-bl. Skytioti, Maria; Søvik, Signe & Elstad, Maja (2015). CEREBRAL BLOOD FLOW CHANGES IN RESPONSE TO MILD HYPOVOLEMIA AND POSITIVE PRESSURE VENTILATION. Elstad, Maja (2014). The respiratory pump improves cardiac stroke volume during central hypovolemia in healthy subjects. Elstad, Maja (2013). Når bølgene i blodet møtes. Forskning.no : nettavis med nyheter fra norsk og internasjonal forskning. Elstad, Maja (2013). Sats på grunnforskning –ellers vet vi ikke hva vi går glipp av. Aftenposten Viten. Skranes, Janne Helen; Thoresen, Marianne; Stiris, Tom; Cowan, Frances; Server, Andres Alonso; Fugelseth, Drude & Elstad, Maja (2013). Changes in Cerebral Resistance Index (RI) after rewarming from day three of cooling predicts good but not poor outcome in infants undergoing therapeutic hypothermia. Dingley, John; Liu, Xun; Tooley, James; Chakkarapani, Ela; Elstad, Maja & Thoresen, Marianne (2010). First human use of 50% Xenon inhalation during cooling therapy for neonatal hypoxic-ischaemic encephalopathy (HIE): The "CoolXenon" clinical feasibility study. Elstad, Maja; Whitelaw, Andrew & Thoresen, Marianne (2010). Cerebral Doppler Resistance Index in Hypoxic-Ischaemic Encephalopathy: Is it still valid in the cooling era?. Liu, Xun; Suleiman, M.Saadeh M.; Elstad, Maja; Potter, Helen & Thoresen, Marianne (2010). Effect of Hypothermia on Cardiac Troponin I after Global Hypoxica-ischemia with Brain Injury in Newborn Pigs. Elstad, Maja (2009). Stroke volume variations : mild exercise and cardiovascular variability.